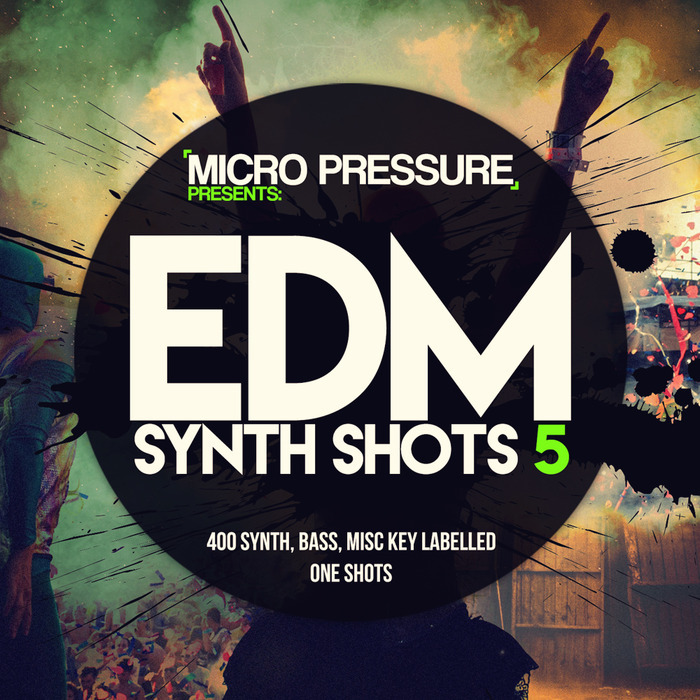 Micro Pressure returns with the 5th installment of EDM Synth Shots, featuring fresh trap, electro, dubstep and progressive synth/bass cuts along with the usual software sampler files. HY2ROGEN delivers another useful package for your personal library with the same humble price tag you've been treated to before. Having the entire collection of EDM Synth Shots is a must and this fifth release should not be missed! The pack contains 400 pure edm key labelled synth shots and bass cuts perfect for adding to the main hook or simply building a new one. Start making those big & wide sounds by stacking various elements and playing them to your liking. For trap style enthusiasts, the synth cuts can spark instant inspiration for serious main hooks. The 400 synth shots/bass cuts are delivered as WAV singles along with 80 sampler patches for EXS24, Kontakt, NNXT and Halion software samplers for easy access and usage within your workflow. Remember to stack some of these synth shots to make the most out of them. Create complextro-type riffs by playing different sounds in the same key and create interesting drops for your future compositions.